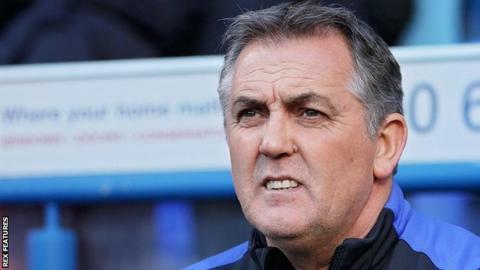 Blackburn boss Owen Coyle has revealed they missed out on signing four players in January, and confirmed Lucas Mugni and Paul Caddis are both on trial. Rennes defender Dimitri Cavare and Watford defender Juan Paredes were both loan targets for the Championship club. Coyle, 50, also confirmed they tried to sign Lens defender Abdoul Ba, as well as Vancouver Whitecaps' Giles Barnes. Rovers football director Paul Senior had said funds were available to spend in the transfer window. Forwards Marvin Emnes and Lucas Joao were the only players to come into Ewood Park in January, with Blackburn battling relegation. A proposed loan move for Celtic defender Efe Ambrose is waiting on a decision over whether his work permit can be transferred from Scotland to England and he can be registered, but he has been training with the club until a decision is confirmed. Argentine midfielder Mugni, 25, and former Birmingham City defender Caddis, 28, are both free agents. On his trialists, Coyle told BBC Radio Lancashire: "The decision with Paul is whether he can have an immediate impact in helping us. Lucas Mugni is a very talented and gifted attacking midfield player."